Beets are delicious, beautiful, and great for you. They give you a strong dose of B vitamins, iron, manganese, copper, magnesium and potassium. They also have compounds that are beneficial to your circulation, stamina, liver, and cancer-fighting ability. To top it all off, they have plenty of fiber to keep you regular. Beets store well either in your soil or your root cellar, which means you can get all the benefits of beets well into frosty days. But what if you are getting tired of having beets the same old way every day? Here are ten ways to cook beets, along with tons of great recipes. Surely these will revitalize your beet routine! Adding beets to your juice routine is an incredible way to increase your health and vitality. You will get all of the health benefits of beets except for the fiber. Beet juice is definitely something you want to ease into. Some people’s stomachs can’t handle a large and sudden increase in beet juice. You can run the pulp through a second time to try to get more juice. Don’t bother with this if the pulp is dry. You can also use a blender, and strain the product through several layers of cheese cloth. Cleansing beet, apple, cucumber, and ginger juice. Save the pulp for your garden. Juicer pulp is a great additive to soils! You do not need to cook or peel the beets to make this dish. Shredded beets make an amazing salad, either on their own or with other roots such as carrots or turnips. You can shred beets by hand. However, for large portions I usually find it’s worth it to fire up the generator and use the shredding disk on a food processor. New, young beets can be shredded and served immediately with the light dressing of your choice. Older or larger beets can be served immediately, as well. However, if you think of it soon enough it is better to shred them ahead of time and let them marinate in your dressing. You can do this earlier on the same day, or the day before. I mix everything but the oil together first, adjusting proportions to taste. Then, I decide how much oil to add based on how “strong” the flavor is. If the flavor is overwhelming, I will add more oil. If I like the flavor as it is, I will just add a touch of oil to improve the consistency. Roots are delicious on the barbecue. They become delightfully charred on the outside and tender on the inside. I typically barbecue a mixture of beets, radishes, and turnips. However, barbecued beets are also great on their own. I have used two methods to barbecue beets, depending on their size. Slice the beets into 1/4 inch steak-like slices. Brush both sides a high heat oil such as avocado oil. Sprinkle slices with salt, pepper, and any other seasoning you wish. I like to add a little cayenne. You can also go with za’atar or curry. Place directly on the grill, allowing them to get serious grill marks. Turn over when a fork poke tells you they are becoming soft on the inside. This is hands down my favorite beet preparation. Fermented beets become juicy, chewy, and almost candy-like. Served over a scoop of brown rice with some fresh sprouts and a handful of sunflower seeds on top, this is a winter staple for me. In addition to getting the benefits of eating beets, you also get the benefits of eating a live food filled with beneficial bacteria. Do not cook the beets. Peeling will give you a better color but is not mandatory. Also, I have only had success doing this with red beets. I tried to make golden beetkraut and it did not work out. The color was a really icky tan, and the texture was bad. I’m not sure if this was because of something I did wrong or differences between the types of beets. Shred your beets! I highly recommend using the disk blade on a food processor, but you can do this by hand. Spread out a layer of shredded beets on a dish or other surface about 1/4 inch thick. Salt generously. Taste your raw beets. They should taste as salty as tears. Repeat layers of beets with salting, then mix all together in a large dish. Transfer to a fermenting crock, or any other container you can weight. The purpose of the weight is to keep the shredded beets in the brine. They will mold if they end up floating on the surface. Initially, you may have a pretty dry mixture. Don’t panic. Give it a day or two to make its own brine. If it is still very dry on the third day, add some salty water. The water should be about as salty as tears. I often use a quart jar as a fermenting crock, and weigh the mixture down with a smaller jar filled with water. For giant amounts of kraut, I use a five gallon bucket. For a weight, I find a dinner plate that will fit inside the bucket and weigh it down with canned food. Every few of days, give your mixture a stir, and scrape the sides of your container to make sure nothing is receiving too much or too little air. If you go on vacation for a week or two, don’t stress. Just stir it before you go, and when you get back. If a piece has floated to the top and molded while you are gone, just remove it. Taste periodically. Depending on the temperature and other biological factors, your kraut should be ready to eat in 2-4 weeks. Pickled beets have a crunchy consistency and a beautiful color. Beets take very well to a cinnamon/clove barbecue type seasoning. This is by far the most popular way to pickle them. Canned pickles do not have the benefits of living bacteria that fermented foods do. They also have more salt and sugar. However, they are a great treat and a great way to preserve beets. Canned pickled beets made with a recipe from a trusted source do not need to be pressure canned, due to the salt and acid added during pickling. They do need to be processed in a water bath. Every recipe should give an appropriate processing time for each sized jar. Half pints and pints usually maintain a better consistency than quarts. You must follow canning recipes exactly to make a safe product. Refrigerator pickles give you more flexibility than traditional canning. The temperature of the refrigerator prevents the growth of many harmful organisms, including botulism. You do not have to use a water bath, you can use a wider variety of recipes, and you can improvise a little bit more. Refrigerator pickles are not shelf stable. They must be stored in the refrigerator and they should be consumed within 3 months. Beets are a super healthy addition to a wide range of baked goods, including cakes, cookies, and pizza crusts. This is a great way to encourage fussy eaters to eat more vegetables, and to make baked goods much healthier for everyone. My favorite of all the baked goods recipes I am sharing here by far is the pizza crust. The crust has an earthy flavor and an awesome color, yet it still bakes up with the crispy crunch I consider mandatory in a pizza. 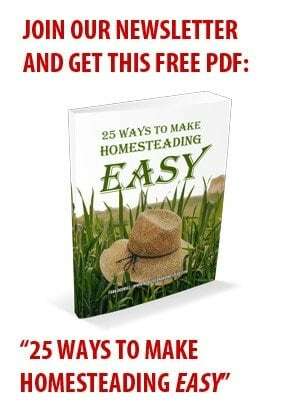 There are so many great recipes to try. After you have made a few, you will probably be ready to experiment a little by adding beets to other baked goods. If you are improvising, pancakes and muffins are a great place to start. Add a mix of seeds to those muffins and you will have a really healthy treat! Not just for babushkas (Russian grandmothers)! Borscht is an incredibly cleansing, healthy soup packed with nutrition. Traditionally, it is served with sour cream. You can skip this ingredient or substitute tahini if you do not eat dairy. To combine the benefits of fermented foods with the benefits of borscht, you can use beetkraut instead of ordinary beets. If you are using a recipe that involves boiling ingredients together, try to leave the beetkraut out until everything else is cooked. Then add it once the rest of the soup has cooled a little bit. That will keep you from killing all of the beneficial bacteria in the kraut. If you must cook the beetkraut to make your soup, there are still nutritional advantages to using the kraut. Even if the fermenting bacteria are killed by boiling, the fermented beets will be easier to digest. There are many recipes for borscht out in the world. If you have Eastern European heritage, maybe there is a great one in your family. Incidentally, if you are interested in Eastern European cooking, the Ukrainian cookbook Mamushka is one of my favorites. Roasting beets gives them a rich flavor and wonderful texture. If left long enough, they begin to caramelize, adding natural sweetness. Roasted beets are also very easy to peel and slice. 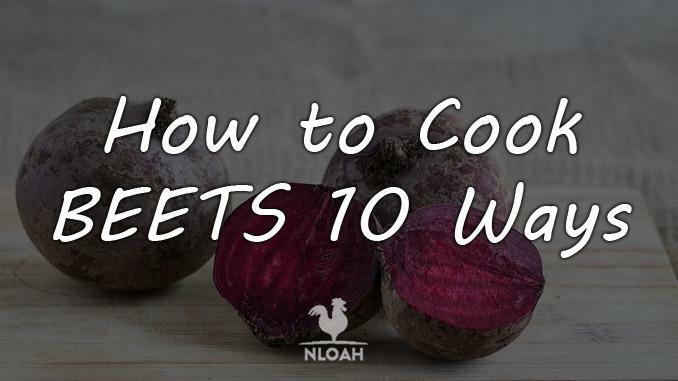 To roast beets, simply wash them and place them in the oven whole. The peel provides a nice little cooking jacket for them, so it’s best to keep them intact. If you are just roasting beets alone, set the oven to 425 degrees. Some people roast beets in a baking dish with a little bit of water in it for added moisture. I actually like it when they dry out a bit, so I just place them right on the oven rack. The beets are done when you can easily stick a fork into them. For large beets, this can take up to an hour. Since it takes quite a bit of time and fuel to roast beets. I like to try to sneak beets into the oven with other foods I am baking. That way, I will have roasted beets that can be quickly added to other dishes, without adding a lot of extra prep time or using a lot of extra fuel. You can store roasted beets in the refrigerator for about five days. If you are cooking beets with other foods, don’t worry if the temperature is lower than 425 degrees. You should use the temperature for the recipe you are making. The beets will take a bit longer, but they will taste just as good. You can always bump up the oven if your other dish is done, but the beets are not ready yet. If you have a woodstove, you can experiment with getting the roasting done ahead of time either on or in the stove. 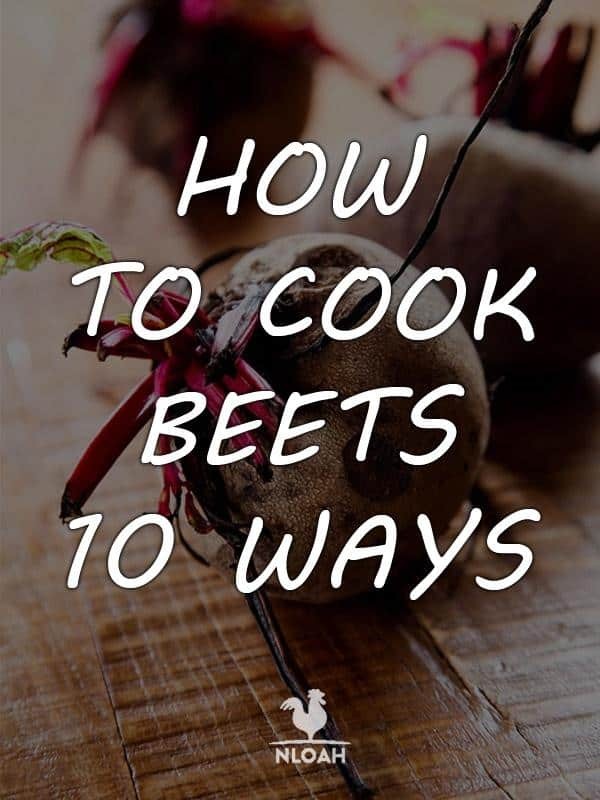 You can find a spot to place the beets on top of the stove that will cook them slowly, and rotate the beets whenever you happen to walk past the stove. You can also wrap them in foil and put them in the stove, if your stove system allows for that sort of thing. Cooking roots in the woodstove takes trial and error at first. However, once you have it down, it will be come second nature. Learning tricks like this cuts way down on meal preparation time. It also helps you to have a steady stream of healthy snacks at hand for when you need a quick bite. Beets’ relatively mild flavor lends itself well to a variety of dips, spreads, and sauces. This adds a nutritional wallop to snack foods. Beet hummus is an incredibly nutritious and beautiful dip. You can either add peeled, roasted beets to a traditional hummus recipe or you can blend the beets with different flavors. You can serve beet hummus with baguettes or crackers, use in sandwiches, or use as a dip for other vegetables. Beet pesto is another great use for this versatile root. It makes a visually stunning dish, and it is super healthy for you. Here are some great recipes to get you started with saucy beets. Once you get the hang of using beets this way, you can probably freestyle some incredible creations. Please share those with us in the comments below! This is a great way to cook beets and beet greens in one pan. Focus on the roots for most of the time you are cooking, and throw the greens in towards the very end. I like to then take the whole thing and serve it on a bed of brown rice. My favorite way to cook golden beets is to sauté them. The flavor and texture are hard to beat (no pun intended!) Sautéed golden beets, especially with additional beet greens, are one of my all time favorite pizza toppings. I also love adding sautéed golden beets to pasta. Add some green peas, fresh oregano, and a light cream sauce and you really have a great dish. The deliciousness of sautéed beets does make up for the fact that making them is somewhat involved. Many recipes call for roasting or boiling (see above for tips on these techniques) before slicing and sautéing. You can also slice or shred raw beets, but this is somewhat arduous and the beets take quite some time to cook. Still, I think it’s worth it for this delicious treat! Here are three recipes for sautéed beets. They each require different preparation of the beets beforehand. See what you like best! Remember, if you already have roasted beets on hand, it will be quite quick and easy to make sautéed beets whenever you like. I hope you have found at least one or two new beet recipes you are excited to try. Thank you for sharing in exploring one of my all time favorite foods with me. We’d love to hear about your favorite recipes, or how it went when you tried something new. Please share in the comments below. Allison Sayer lives in a schoolbus on an off-grid property in the Alaskan Copper Valley. She has been part of many amazing projects. These include cooking at a remote nature center, managing a multi-family hoop house, volunteering at a chicken sanctuary, and WWOOFing on a small farm. Through her deep friendships throughout the Alaskan wilderness, she has helped many friends develop their homes and dreams. Allison is currently building up her property with the goal of starting her own microgreen farm. My favourite beetroot recipe is to layer thin slices of raw beetroot, potato and onion in a shallow dish, with a little melted butter brushed over each layer. Cover with foil and bake in an oven for an hour, or until they are tender. This is a surprisingly sweet dish and very tasty.